I am seeped in all the Law of Attractions offerings available on the web and I wanted to share. Here are some FREE gifts that you can access and take advantage of on your journey to implementing the Law of Attraction in your life! FREE online Law of Attraction training video – This 56 minute video that reveals the one newly discovered secret approach to manifesting that unlocks real life results in just 6 hours. 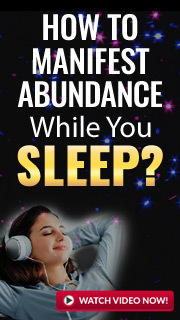 This will surely improve the implementation the Law of Attraction in your daily life. Law of Attraction training will help you break through your limitations, live the life you were born to live, and experience joy and freedom as a new way of being. FREE Meditation MP3 Audio Tracks – These guided meditation tracks will boost your skills for manifesting what you desire. Download them to your phone and use often! The Ultimate Guide To Brain Hacking. This book explains how the brain works and how routines & rhythms work to re-calibrate your brain without all the hard work of affirmations, being positive all the time, uncovering subconscious blocks and other Law of Attraction techniques that can take a lot longer than simply using audio tones to reprogram your brain.